Iain Riddell argues that it is possible to take the bureaucratic datasets of the nineteenth century for example; parish registers and census data and combine these genealogical which links an individual to their lifetime core records, as well as wills, testaments and newspaper clippings. The historian can use the responses and choices of past people to contextualise kinship over a long time frame. 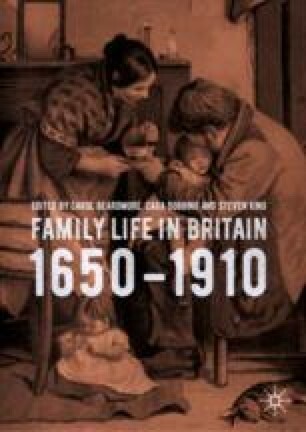 British studies generally examine kinship within the limits of kin-family who shared periods of co-residency. New digital resources now allow the re-association of individual records to individuals with a high degree of accuracy which allows us to rethink kinship. Riddell has used this method of kinship collation to question the shape of relationships between household units through multiple connectivities accumulated from a longitudinal intergenerational perspective.